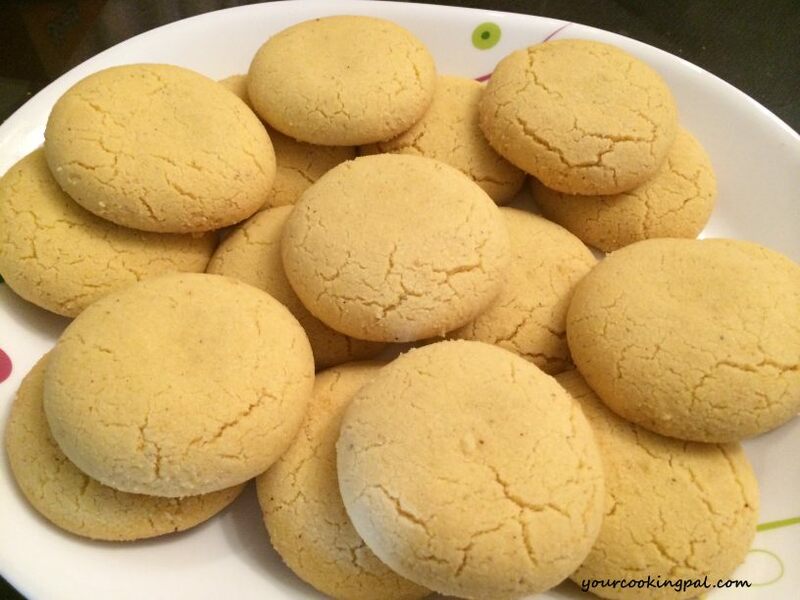 Nankhatai is an Indian style cookie that is a perfect tea time snack. They are usually made during the Diwali festival in India. 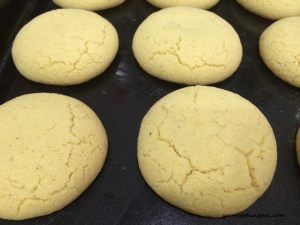 Perfect nankhatai that look exactly like the bakery bought ones. I am sure you cant resist them. So crisp, yet soft that the minute you put them in your mouth, they just melt away. 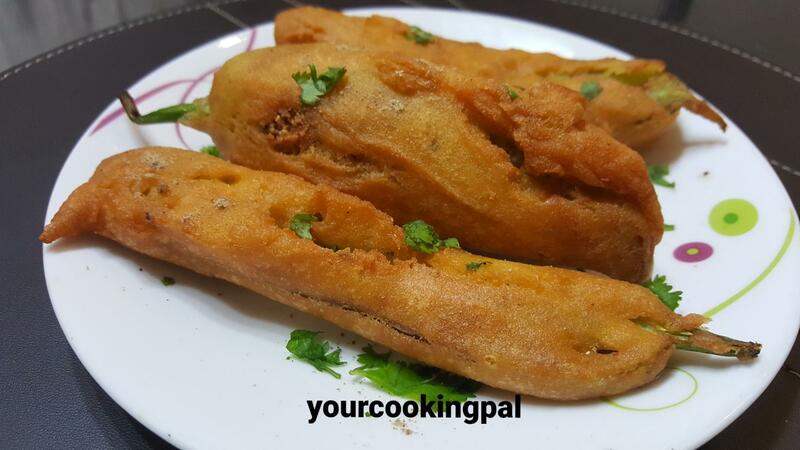 Sieve Maida, Besan and baking powder. 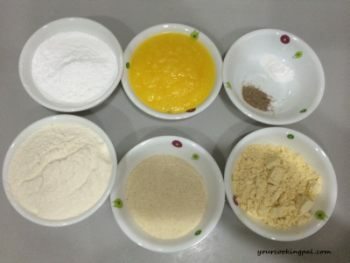 In bowl mix all the dry ingredients, maida, Besan ,Sooji and Baking powder. To make the dough, in a big flat plate or bowl add powdered sugar and ghee and mix well for around 5 minutes. 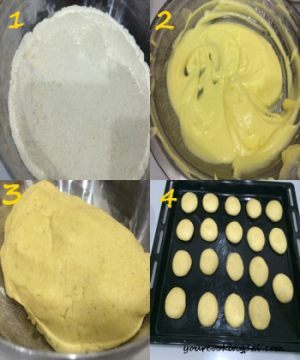 Add the dry ingredients and elaichi powder to the ghee and sugar mixture and knead into soft dough. Make small balls and flatten them by pressing them gently between your palms and place them on a greased baking tray. This recipe makes approximately 19-20 big sized cookies . It varies depending on the size you want to make.Preheat the oven at 200 degree C for 10 minutes. Place the baking try in the oven at 180 degree C for 15 – 20 minutes. Once they are out from the oven they will be soft, so avoid touching them. 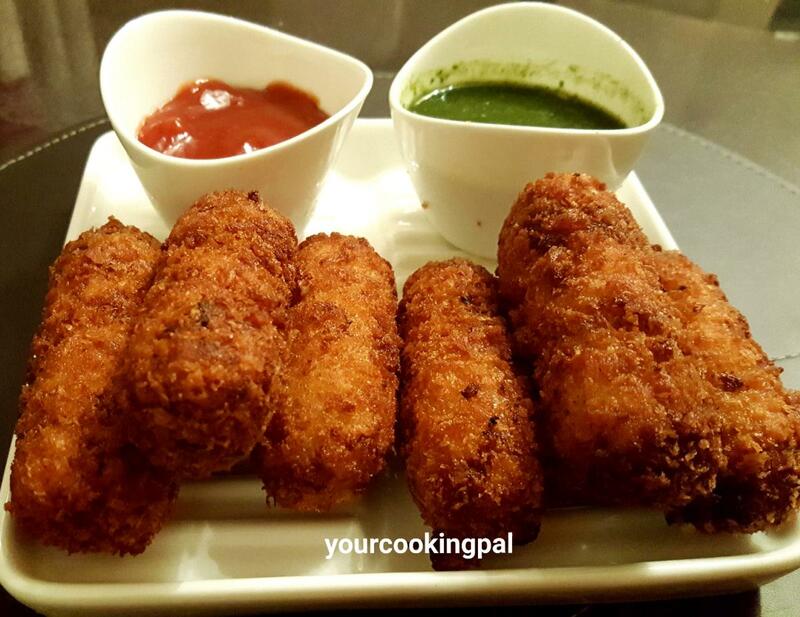 Let them cool down completely after which they are ready to serve. 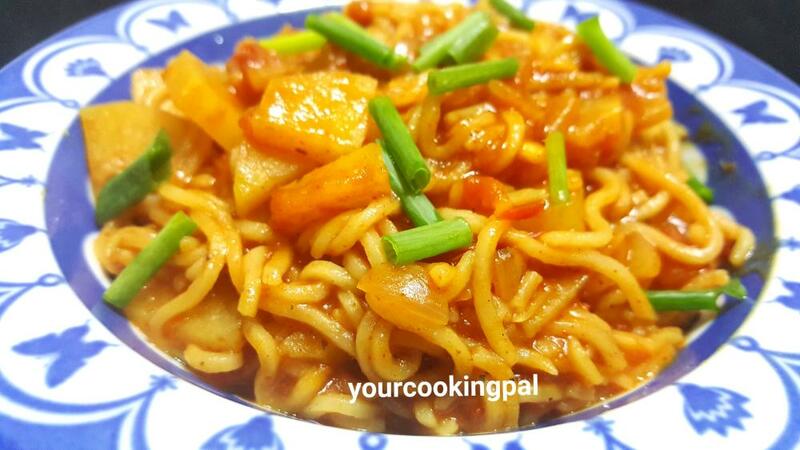 Generally recipes are easy to make n yummy to taste. .. I always thought nan khatais were somehow more complicated based on the name. But this looks so fantastically easy! I must try this soon! 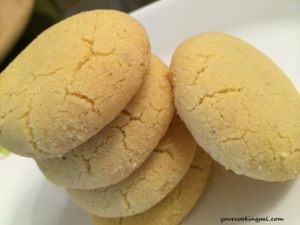 Your recope is big time hit…i have tried your nankhatai recipe…n it turned out awsm..
Hi, I want to make this with less sugar..and with Jeera .. so how abt the measurements. You can always reduce the sugar quantity that shldnt affect the over all taste of the Nankhatai.